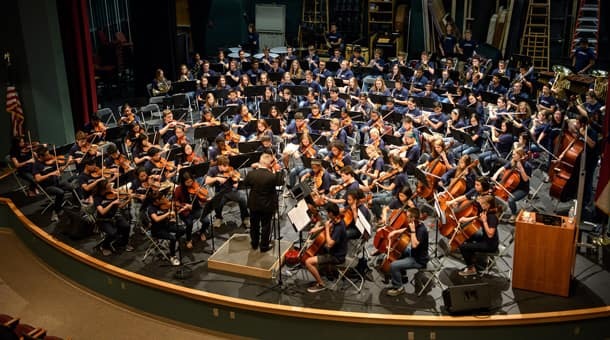 This past weekend, the Disney Performing Arts team brought its popular music workshops to the North Carolina School of Science and Mathematics as part of band director Phillip Riggs winning the 2016 Music Educator Award™ presented by the GRAMMY Foundation and The Recording Academy. In April, the GRAMMY Foundation and The Recording Academy recognized Riggs’ remarkable impact on his students as well as his contributions to music education by presenting him with the third annual Music Educator Award™ and donating funding to his school during the famous GRAMMY Awards Ceremony in Los Angeles. 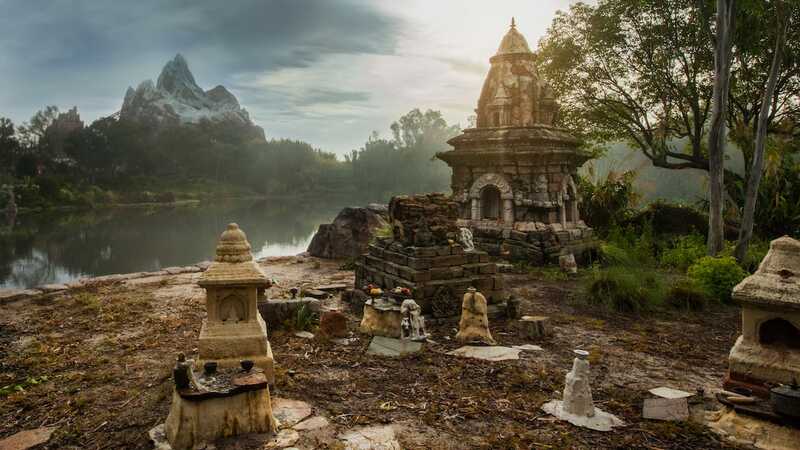 “One of the unique things about the Disney workshops is that they’re also learning what it’s like to be in an actual recording studio or on a soundstage,” Riggs said. 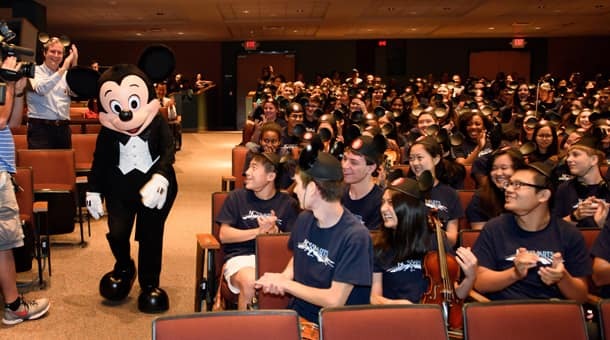 As part of this rare opportunity, Mickey Mouse showed up in his conductor attire and surprised Riggs’ and his students by presenting Riggs’ and the school’s chancellor with a golden Mickey statue. Disney Performing Arts is endorsed by the GRAMMY Foundation and is a proud co-sponsor of the Music Educator Award. Disney Performing Arts deliver workshops and performance opportunities that inspire and often lead to life-changing personal achievement. For more information about Disney Performing Arts, please visit DisneyPerformingArts.com.